Simply beautiful country property! Long paved driveway. Private from road. New front porch. 4 bds, 2 Baths. Hardwood floors, Stone fireplace, large bay windows. Very spacious kitchen with Cherry cabinets and Corian counters.1st floor family room with propane stove. Replacement windows. Covered patio and in ground pool. Walk out basement. Tioga Elementary School Pre-School, Elementary School / Public 6 1.55 mi. Tioga Middle School Middle School / Public 4 1.55 mi. Tioga Senior High School High School / Public 5 1.55 mi. Tioga Center Christian School * Pre-School, Elementary School / Private N/A 1.73 mi. Zion Lutheran School * Pre-School, Elementary School / Private N/A 3.18 mi. Owego Free Academy * High School / Public 6 4.18 mi. 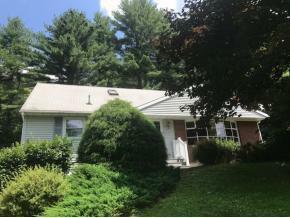 214 Drybrook Road, Owego, NY 13827 is a 4 bedroom, 2 bath single family home was sold for $167,000.